Summary: Researchers discovered some protease inhibitors used to treat HIV can lead to the production of the peptide amyloid beta. Researchers from the University of Pennsylvania have now pinpointed some of the key players in causing neuronal damage. Their work suggests that certain protease inhibitors, among the most effective HIV drugs, lead to the production of the peptide beta amyloid, often associated with Alzheimer’s disease. The drugs prompt an increase in levels of the enzyme that cleaves the amyloid precursor protein, APP, to produce beta amyloid, which is responsible for the damage to neurons. Previous investigations by Jordan-Sciutto’s team have suggested, however, that protease inhibitors can have toxic effects on the central nervous system. One study, for example, demonstrated that they triggered the activation of stress-response pathways, including oxidative stress and a process called the unfolded-protein response, or UPR. UPR results when the cell senses misfolded or modified proteins, causing a halt in protein translation. It’s meant to protect a cell from aberrant proteins, but, when chronically activated, it can lead to cellular damage or death. Even after these studies, it wasn’t clear whether UPR seen in HIV patients was induced primarily as a result of the virus or of the treatment, and what molecules mediated it. In addition, the researchers were intrigued by the findings of colleague and coauthor Robert Vassar of Northwestern University, who showed that stress-induced UPR led to activation of beta-site APP cleaving enzyme 1, or BACE1, an enzyme that snips apart APP to produce beta amyloid. To determine whether and how neuronal damage arises from drug treatment and to ascertain BACE1’s role, the team investigated the effects of protease inhibitors in two animal models, then probed the mechanism of action in cells in culture. The new findings open up a number of avenues for future research. The team would like to explore whether this pathway of neuronal damage applies to other HIV drugs and how the UPR differs depending on whether the virus or the drugs are inducing it. NeuroscienceNews.com image is for illustrative purposes only. The new findings open up a number of avenues for future research. The team would like to explore whether this pathway of neuronal damage applies to other HIV drugs and how the UPR differs depending on whether the virus or the drugs are inducing it. Also, given the connection between beta amyloid, APP and Alzheimer’s disease, the team is curious to learn more about how these peptides contribute to the disorders seen both in that disease and in HAND. In addition to Jordan-Sciutto, Akay Espinoza and Vassar, authors on the work included Penn Dental Medicine’s Patrick J. Gannon, Alan C. Yee, Michelle A. Erickson, Nicholas S. Kim, Gabriel Van De Walle and Brigid K. Jensen; R. Chistopher Pierce, Alexander J. Gill and Dennis L. Kolson of Penn’s Perelman School of Medicine; Lisa A. Briand of Temple University; Benjamin B. Gelman of the University of Texas Medical Branch; Yan Gao and J. Alan Diehl of the Medical University of South Carolina; and Norman J. Haughey, Joseph L. Mankowski, M. Christine Zink and Janice E. Clements of the Johns Hopkins University School of Medicine. Funding: The study was supported by the National Institutes of Health. University of Pennsylvania “A Link Between HIV Treatment and Neurodegeneration.” NeuroscienceNews. NeuroscienceNews, 16 December 2016. 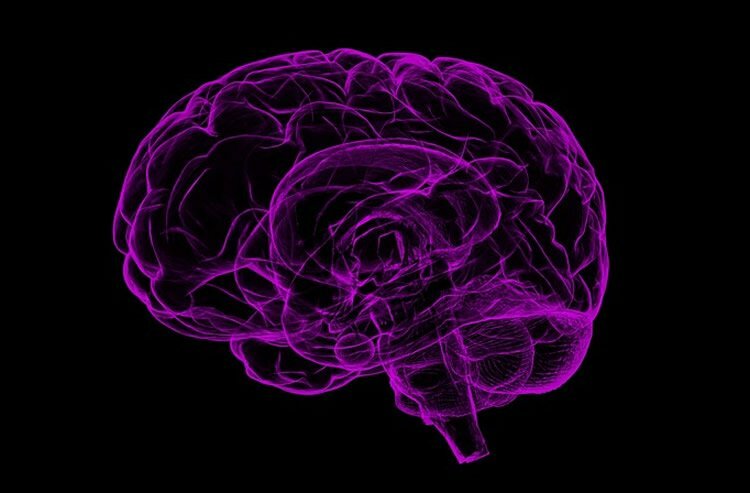 University of Pennsylvania “A Link Between HIV Treatment and Neurodegeneration.” http://neurosciencenews.com/neurodegeneration-hiv-treatment-5759/ (accessed December 16, 2016). Mounting evidence implicates antiretroviral (ARV) drugs as potential contributors to the persistence and evolution of clinical and pathological presentation of HIV-associated neurocognitive disorders in the post-ARV era. Based on their ability to induce endoplasmic reticulum (ER) stress in various cell types, we hypothesized that ARV-mediated ER stress in the central nervous system resulted in chronic dysregulation of the unfolded protein response and altered amyloid precursor protein (APP) processing. We used in vitro and in vivo models to show that HIV protease inhibitor (PI) class ARVs induced neuronal damage and ER stress, leading to PKR-like ER kinase–dependent phosphorylation of the eukaryotic translation initiation factor 2α and enhanced translation of β-site APP cleaving enzyme-1 (BACE1). In addition, PIs induced β-amyloid production, indicative of increased BACE1-mediated APP processing, in rodent neuroglial cultures and human APP-expressing Chinese hamster ovary cells. Inhibition of BACE1 activity protected against neuronal damage. Finally, ARVs administered to mice and SIV-infected macaques resulted in neuronal damage and BACE1 up-regulation in the central nervous system. These findings implicate a subset of PIs as potential mediators of neurodegeneration in HIV-associated neurocognitive disorders.